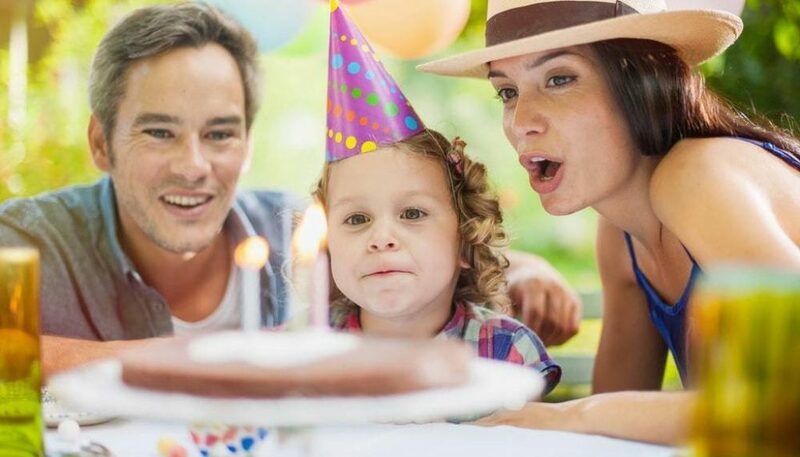 How Can I Throw A Birthday Party for my kids with Bad Credit? “I have a bad credit and I’m working on it. But, just because I’m fixing my bad credit doesn’t mean that I won’t be throwing a huge birthday party for my kids” says a Mom who’s looking forward to her daughter’s Disney-themed birthday bonanza. If you’re excited to plan your little ones’ party, here are smart tips to save money without compromising the quality and overall cheer of your little one’s very important event. Always take your child’s personality/character into consideration when planning. Birthday parties are very important to children. When hosting a party, the theme should be connected to the child’s interests. Planning one is rather hard and stressful, but everything will be worth it once you see the smile glistening on your child’s face. Hosting large parties could be quite a handful. But if you’re used to large ones, you just need to make sure the child will not be overwhelmed by the huge number of people that’ll be showing up on that day. Proper budgeting should be instilled here. You need to make sure that the money set aside for the party is enough. And if it isn’t, you need to cut down the number of people invited, and settle for a smaller party. Never take out a loan just for the sake of accommodating guests that your child is not personally close to. Remember that it is their event, not yours. Some parents use their kids’ events to connect with people. If you do, choose those individuals wisely. Remember it’s just a birthday party – not a marketing or political event. When selecting a venue, you need to consider a lot of things. If it’s a toddler’s party, swimming pools could be used as a venue, but it should be fenced in and the pool should be no more than three-feet deep. If it’s a teenager’s party, it could be set in your residence’s garden. Or, a safe resort. Even the weather should be checked. Setting party favors outside when it suddenly rains completely ruins the entire event. Settling for a venue that could still hold a party, even if it’s raining cats and dogs outside is the best option. If possible, do it in your own home. You can save money on the venue – and use it for the food instead. Plus, the parents of the friends your child invited will feel relaxed knowing there’s an adult supervising. Sometimes, asking for help isn’t bad. If you have a really busy schedule, you could just hire an even organizer to help set up the event. You don’t have to worry about contacting the Catering Services, Venues, and the cake designers. Sometimes you could even ask them to make a few adjustments regarding the expenses. Ask them if they could find a much cheaper package that still offers good service. But, if you’re trying to save money because you’re still in the process of fixing your credit, why don’t you just pick a restaurant with ready-made food and decors? It will save time and give you opportunity to pick only the guests that matter to your kids and your family. But, if you’re really hard on cash, ask your family and friends to help you prepare the decors and the food. This way, you wouldn’t need to pay for an organizer. You can also save on home cooked meals. Entertainment matters. If your child is a toddler, then clowns, mascots, and a jumping castle is-somehow-necessary. For a toddler’s party, the guests are also kids – so if the party is a little boring, they’ll be crying their eyes out due to lack of entertainment. If you can’t afford clowns, prepare magic tricks, games and colorful toys and decors that they can appreciate. Choose children’s songs to get them dancing. You need to be aware of allergies. When it comes to choosing the food for the party, you need to make sure that none of the children attending have allergies to the food you’re serving on their plate. Most specially, they are kids. Their food should be clean and safe. It should be gluten-free. Do not provide too many sugary or salty foods. This goes the same for game prizes, the sweets should be toned down a notch. We don’t want them having to go home with a sore throat and tonsillitis. Game prizes work best when the children are of the same age. You should ensure that each child gets a prize so that you could avoid having to face conflicts about who didn’t get a prize and who did. Put into mind that they are children. Well, the prizes aren’t really costly. You can just pack some gummy bears or any type of sweets and they’ll love it already. It is important to check whether you have got everything set out and planned. Even if you do hire an organizer, everything should be set up and finalised so that you don’t have to cram last minute. So, if you’re asking “How do I fix my bad credit rating while not missing important events in my child’s life?”—saving money at all times, even during your child’s birthday, is the key. You can also use DIY Clean Credit repair tool kit to improve your credit scores successfully. Enquire now or call 1300 015 210!